REFLECT: Who had to die before the Lord would allow His people to move forward into the promised land? RESPOND: Describe one way you have attempted to "go to war" without God. 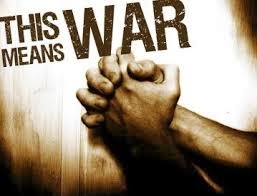 I'm not completely sure what 'go to war' means but from what I understand from the passage, God told the Israelites not to go to war or cause trouble with certain nations that they were passing through to get to the promised land. So I think that 'go to war' means pursuing a path, a lifestyle or claiming what you think is right and what you deserve. I have often attempted to 'go to war' without God. Whether it be pursuing my own selfish ambitions, or doing what I think is right for my life I have always ended up lost and unhappy. I am constantly asking the Lord to show me His path for me and to stop me if I am following a path that isn't his plan for me. I always try to be fit but when I see the food in front of me, I am unable to control and take a lot of that but I want to get rid of the habit of mine as then I have to go to Physiotherapy North Ryde to get rid of the pains I have due to my weight.